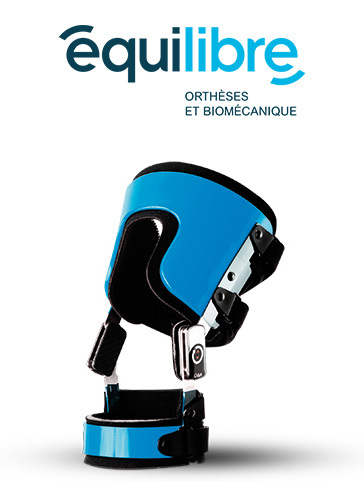 Ergoresearch has developed Quebec’s leading network of orthotics clinics, with over 100 corporate and satellite centers under the Équilibre – Orthèses et biomécanique banners. The leading manufacturer of “intelligent” foot orthotics and specialty orthotics, it is a trend-setter in creating durable medical equipment and software for the orthopedics market. Ergoresearch has developed and commercialized WebFit™, the first robotized custom-fit orthotics manufacturing software program, launched the first Living Lab in Canada and more recently, a new generation of world-patented orthotic device called the OdrA, that revolutionizes the treatment of pain associated with knee osteoarthritis. The company is involved in a number of research projects with institutions such as Université Laval and Collège Mérici’s Centre de solutions technologiques en orthèses et prothèses (CSTOP), in Quebec City. Ergoresearch Ltd is listed on the Toronto Stock Exchange (TSXV) under the Symbol: ERG.